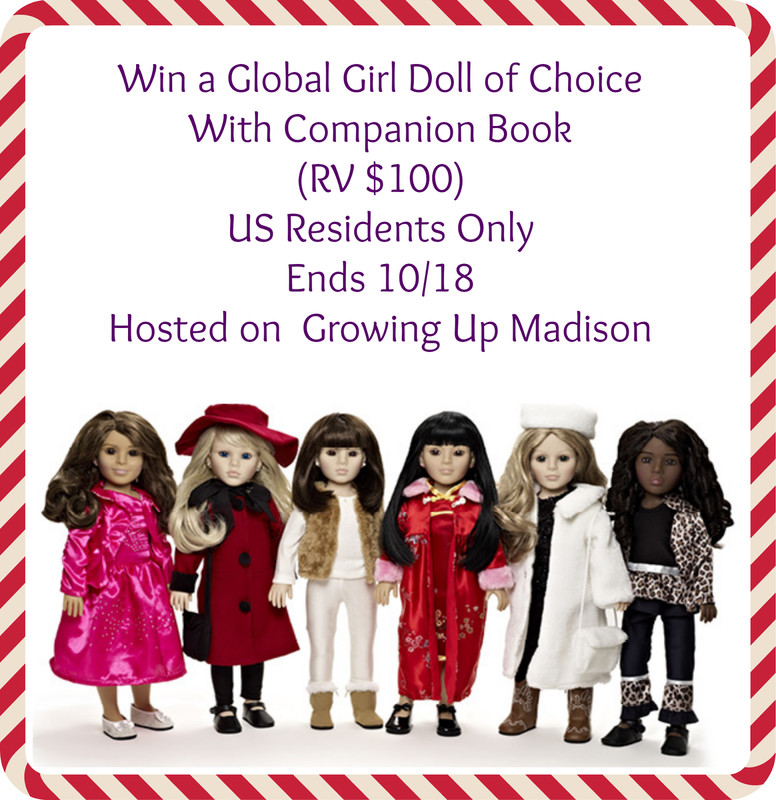 With the Holidays quickly approaching I was so excited that Madison of Growing Up Madison allowed us to help her promote her newest giveaway for a Global Girl Doll. Global Girl Dolls are the newest doll phenomenon and I for one am a huge fan. Global Girl Dolls are on a mission to open the minds of young girls and spark their curiosity about other girls in other countries. After noticing that there were no other doll brands that focused on different countries and their cultures they decided to do something about it. 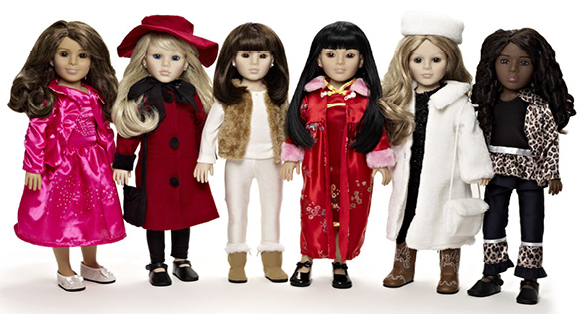 Global Girl Dolls do just that educate young girls on different cultures through their doll of choice. For this giveaway one winner will receive not only the doll but also her companion book. This will make the perfect holiday gift for a little or big girl in your life. Check out Growing Up Madison's review. Giveaway is open to residents of the US only and winner will have 48 hours to respond to the email sent. Failure to respond will mean forfeiting your prize and a new winner will be chosen. Good luck! Disclosure: Free For All receives products in order to conduct reviews. No monetary compensation was provided unless noted otherwise. All opinions are 100% my own. Some posts may contain affiliate links that I receive commission for payment from in exchange for referrals. In the event of a giveaway, the sponsor is responsible for delivery of the prize, unless otherwise noted in the posting. Giveaways are not sponsored by Facebook, Twitter, Pinterest, Google+ or any other social media site. Regardless, I only recommend products or services I personally believe will be a good fit for my readers. I am disclosing this in accordance with the Federal Trade Commission's 16 CFR, Part 255: "Guides Concerning the Use of Endorsements and Testimonials in Advertising." It's great to have dolls that are so varied. Kids should be able to find a doll that looks like them! They are great! My granddaughters would like them.